Arsenal have been dealt a triple injury blow with Mesut Ozil, Laurent Koscielny and Sead Kolasinac all doubts for Wednesday’s huge showdown with Chelsea. Ozil was surprisingly left out of last night’s 1-1 draw at West Bromwich Albion and it was soon revealed that the playmaker had picked up a knee injury in training ahead of the game. Arsenal certainly missed the German international as they lacked creativity in the final third as a controversial late penalty cancelled out a deflected Alexis Sanchez free-kick at the Hawthorns. It looks like the Gunners will have to make-do without Ozil on Wednesday night as Arsene Wenger confirmed after the game last night that there is ‘little chance’ of the attacker being available to face Chelsea. When quizzed about Ozil’s chances of facing the Blues, Wenger is quoted as saying by the Daily Mail. 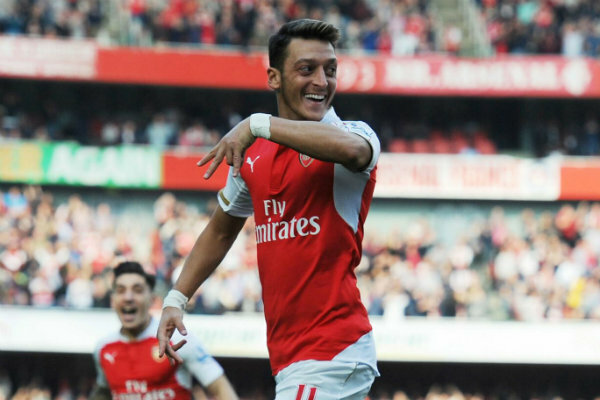 It would be a huge blow for Arsenal is Ozil was ruled out on Wednesday as the attacker has been in fine form of late having scored three in his last four league appearances. To compound Arsenal’s misery, Laurent Koscielny is also a doubt to face Chelsea after limping out of last night’s draw having aggravated his troublesome Achilles injury. 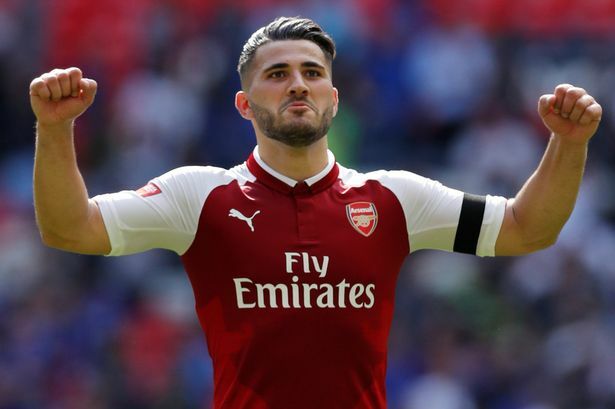 In a triple concern, Sead Kolasinac was also forced off shortly before half time at the Hawthorns after suffering a leg injury and it remains to be seen whether the Bosnian international will be fit to face Chelsea. Wenger didn’t provide any update on the defensive duo after the game last night but with just two days until Chelsea arrive at the Emirates they don’t have much time to recover. With Aaron Ramsey, Olivier Giroud, Santi Cazorla and Nacho Monreal already missing, it means Arsenal would be without seven important players if Ozil, Koscielny and Kolasinac are all ruled out of the game on Wednesday night.